Best Workplaces in Financial Services & Insurance! 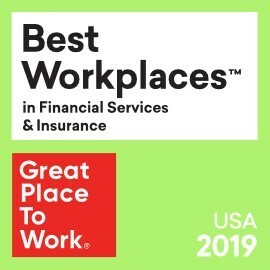 We are proud to announce that Great Place to Work® and Fortune Magazine named West Bend one of the Best Workplaces in Financial Services & Insurance! Special thank you to our associates, for your continued support and in making West Bend a Great Place To Work®.